Positive proof of life after death. 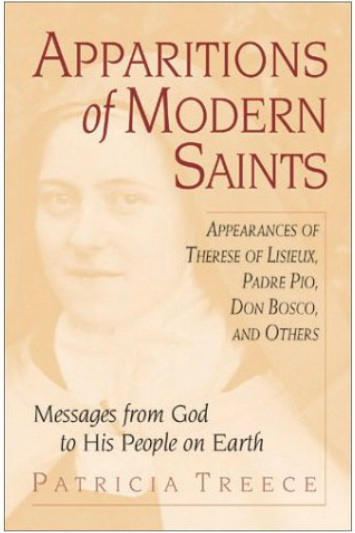 Apparitions of Modern Saints recounts documented stories of after-death appearances of Therese of Lisieux, Don Bosco, Padre Pio, Mother Cabrini, Katherine Drexel, Solanus Casey, Gemma Galgani, Charbel Makhlouf, Pope Pius X, Pope John XXIII, Maximilian Kolbe, Faustina Kowalska, and many other nineteenth and twentieth century saints. Many of these are accompanied by miracles such as instantaneous healing of terminal illnesses or dramatic rescues from certain death. These appearances bear witness to the reality of the communion of saints, the extraordinary association of the faithful living on earth with those who already stand before God's throne. "Read, learn, and know that the human soul is indeed immortal."